The hardy nature and lush look of the Chinese fan palm makes it a South Florida landscape favorite. 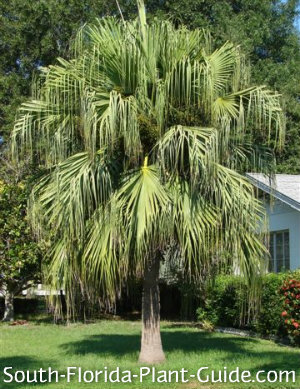 The wide-spreading crown, with drooping fan leaves that have a layered "weep," will stay low to the ground while the palm is young. 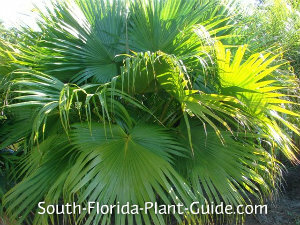 This makes it a great privacy plant, an excellent container palm or a generously-sized anchor for a tropical garden bed. 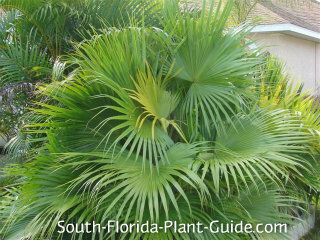 These beautiful palms are among the hardiest of South Florida palm trees, and complement any size yard in sun or shade. Pretty at every stage of its growth, the Chinese fan will eventually grow a single trunk and rise to about 25 feet. It's a slow grower for any light - best in sun to partial shade. It's cold hardy - thriving in all areas of Zones 9 and 10 - and moderately salt-tolerant and drought-tolerant once it's well established. Add top soil or organic peat to the hole when planting this palm. Plant in a well-drained area...it likes to dry out between waterings. 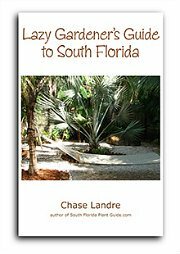 Fertilize with granular palm fertilizer in spring, summer and fall. 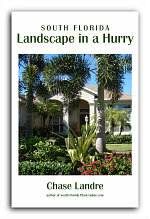 You will have to trim off older fronds now and then - but not very often since the palm grows slowly. Chinese fans grow wide before they grow up. Space them about 5 feet or more from the house to let them fan out when young and have enough frond room as they mature. For a group planting for privacy or fullness: space them about 4 feet apart, if you're planting a 7-gallon (or larger) pot size. For 3-gallon containers, these palms can be planted 3 feet apart. An excellent palm for medium to large containers, this palm can decorate a porch, balcony, patio or pool area. It does have short spines on the interior of the leaf stems, so avoid placing in areas where people have to brush against it to get by. 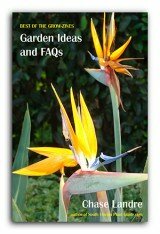 COMPANION PLANT SUGGESTIONS: Depending on the light, consider false aralia, croton, white fountain grass, thryallis, agapanthus, thunbergia, and dracaena.